This tutorial shows some of the uses for the illuminator agent, and how to connect one to your setups. This tutorial uses the pico, but this will work similarly on a Tau or an Alpha. This method can also be applied within the factory setups to add marker keys and other light effects to the keygroups already present. To this setup we will add an illuminator agent, which will display marker lights onto the main keygroup. We will then add a talker that allows us to change the layout of the marker lights on the Pico itself. 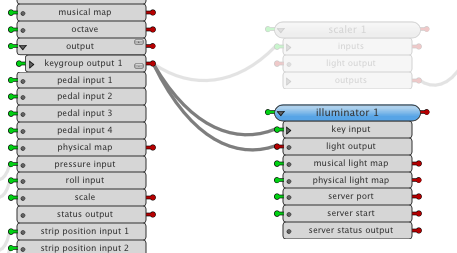 Add an illuminator agent to the setup, and connect it directly to keygroup output 1 of the main keygroup. Also ensure that you delete the connection from the scaler's light output to the keygroup. It's important that both the 'light output' and 'key input' of the illuminator are connected to the keygroup we want the lights to appear on. 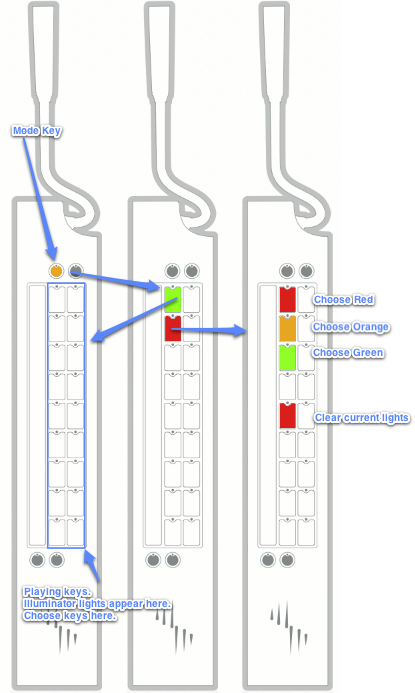 The key input is necessary for the process of choosing the lights to display. The illuminator is initially blank, and we need an easy way to change the lights it displays from the Pico itself. 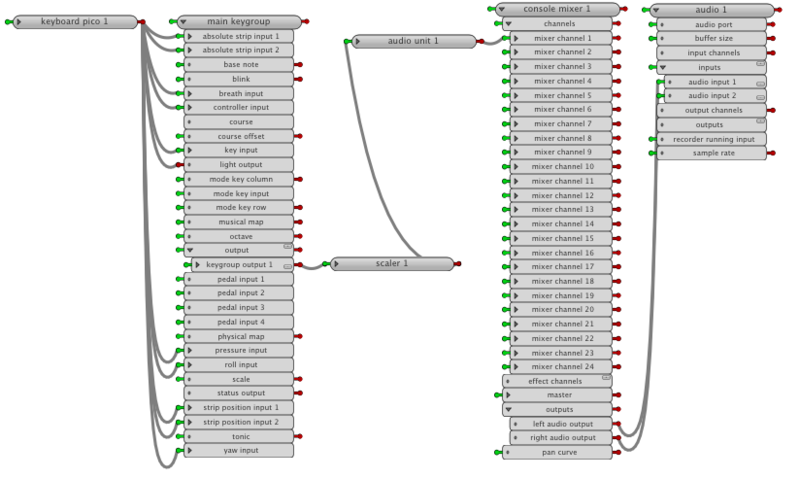 To do this we will add a talker, inside another keygroup output that we can switch to with a mode key. 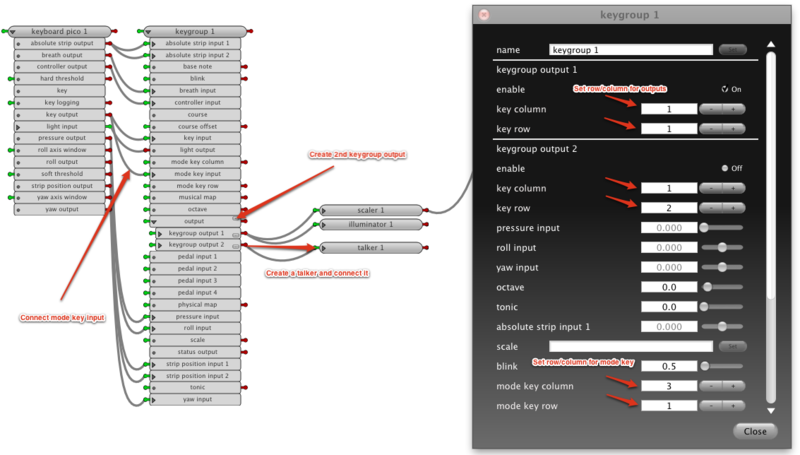 Use the mode key to switch to keygroup output 2. This should show the three coloured choose keys, and the erase key. 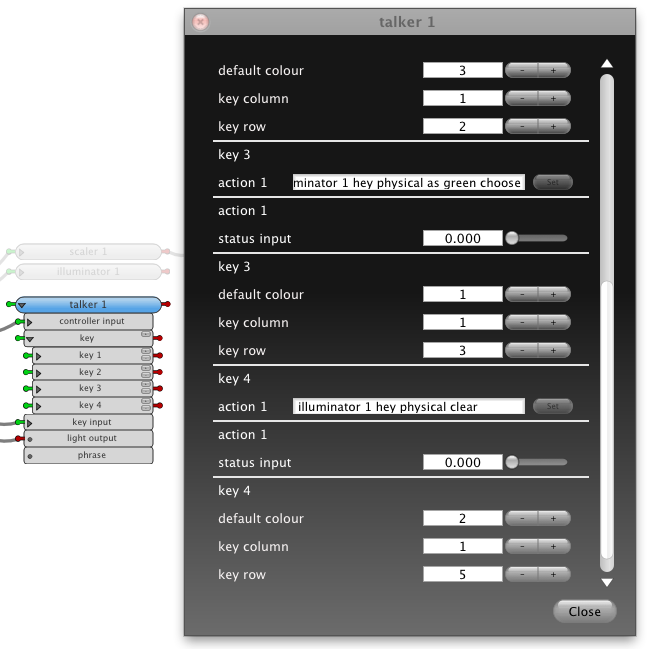 Press one of the coloured buttons and then use the mode key again to switch back to output 1 where the playing keys are. Press the keys you want to appear in the chosen colour, one by one. When you are finished, press the last key a second time. To erase the lights and start again, press the erase key in row 5 in output 2. Once you have chosen the light pattern you want, to highlight frets, notes, or to remember the first note of a song, you can save the setup and the light positions get saved along with it. Note: When choosing a second colour, the lights of the first colour will not appear while choosing. After you finish choosing the second colour, the lights of the first colour will re-appear.